Hundreds of our customers are delighted with the results they have achieved from using Core Light ing’s PinPoint wireless magnetic Pin Spot, and we have been told that they are the best battery powered wireless spotlights on numerous occasions! 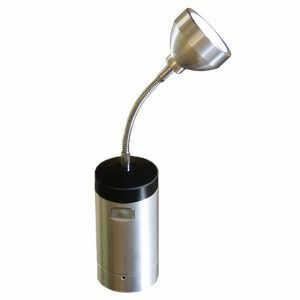 The market leading battery powered wireless spotlights has an extremely narrow, bright 4.5 degree beam spread that can pinpoint any object, such as a painting, floral centerpiece. The IP65 rating allows this battery powered spotlight inside or outside – regardless of the weather. 12hr run time on full output. Charge from mains supply in a 10-way charging case. Available as Battery Powered Wireless Spotlight Set: The set includes: 10 X LED Battery Powered Wireless Spotlights and a 10-way charging flight case.